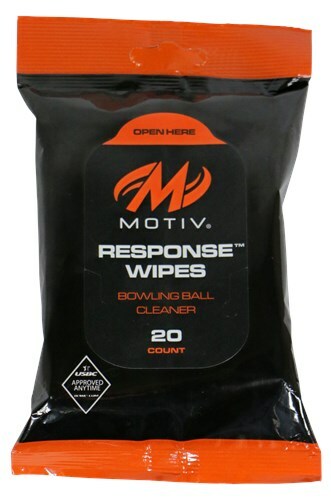 The Motiv Response Wipes are handy ball cleaning wipes that are perfect and hassle free for cleaning your bowling ball. 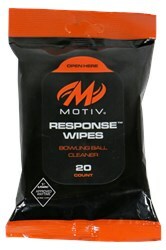 Easily clean and remove gunk from your bowling ball and then toss the wipe in the trash. The resealable, compact pouch fits perfectly in your bowling bag so you can use them on the go. 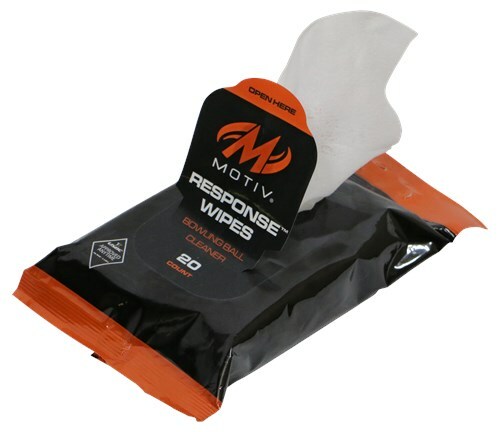 Because this cleaner is USBC approved you can use them during tournaments or at league play. Cleans and removes marks, dirt, lane oil, and grime from bowling ball cover. Great cleaner. Being a wipe they are really convenient. Unfortunately they are a use once and throw away. It would be nice if an individual wipe stayed wet for more then a frame or two. Cleans the gunk and leaves the ball tacky, not click like other cleaners, so it hooks up better. Due to the time it takes to produce the Motiv Response Wipes ball it will ship in immediately. We cannot ship this ball outside the United States.